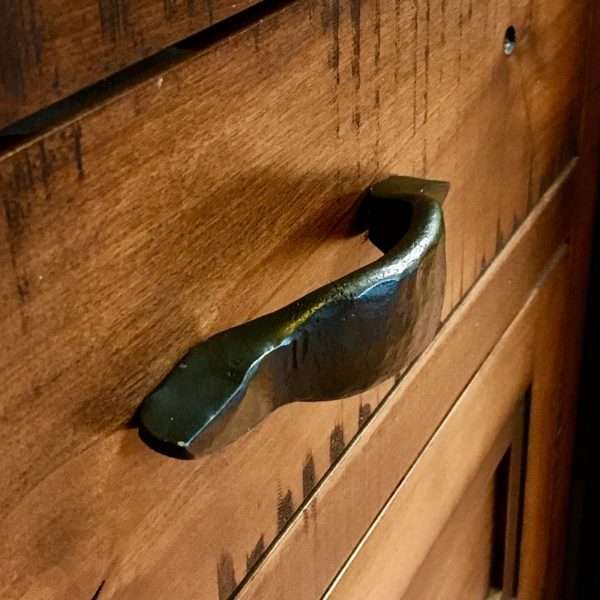 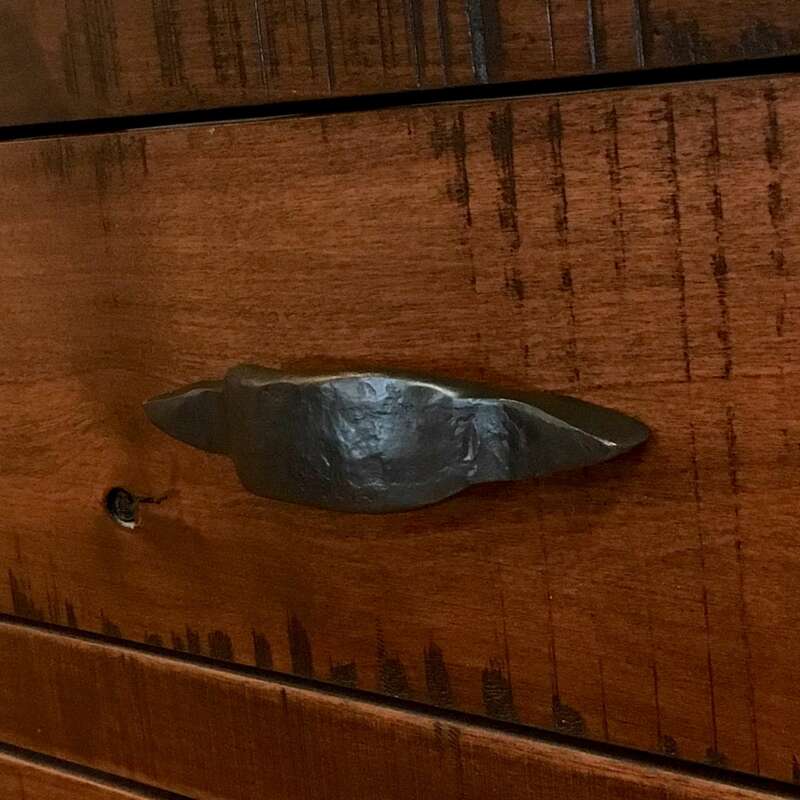 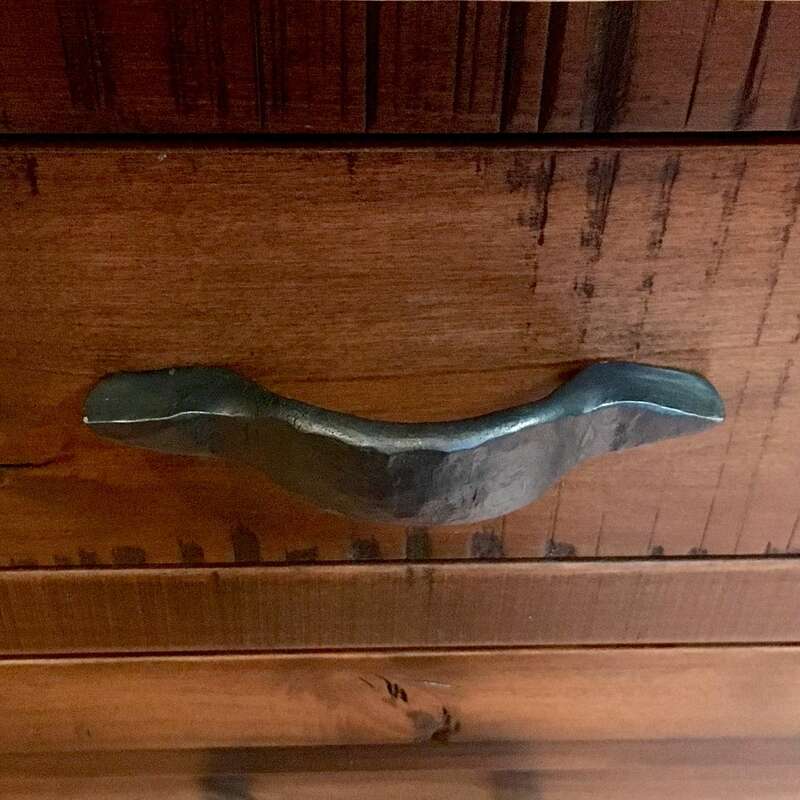 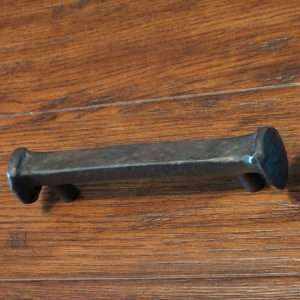 The Rustic hand forged Flattened Railroad Spike Drawer Pull is made from the remnants of a railroad spike. 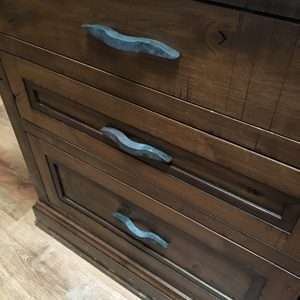 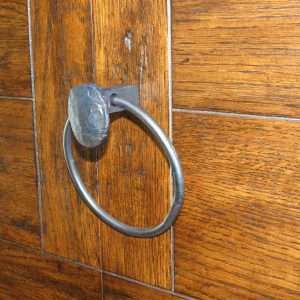 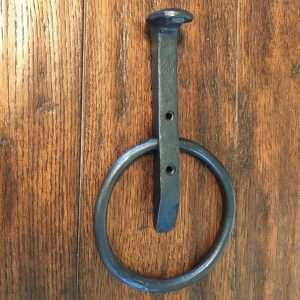 rounded, hammered, western and antique looking handle. 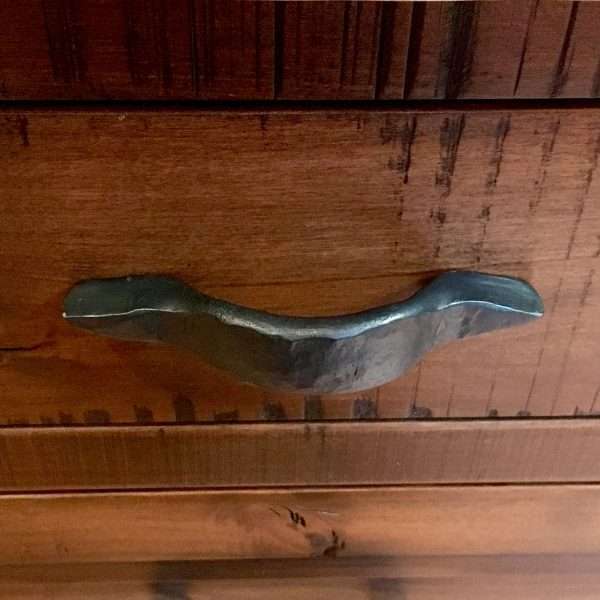 Each pull or handle is unique and will vary slightly. 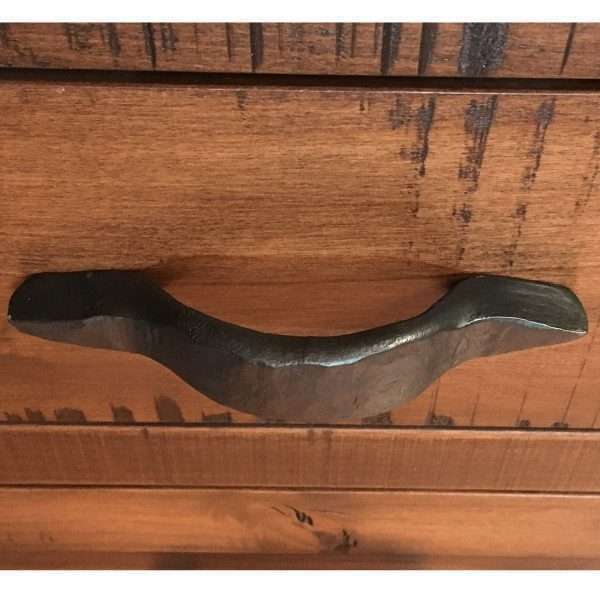 Dimensions are approximately 6″ wide by 1-1/4″ tall and extend from drawer 1-1/2″ to the outside. 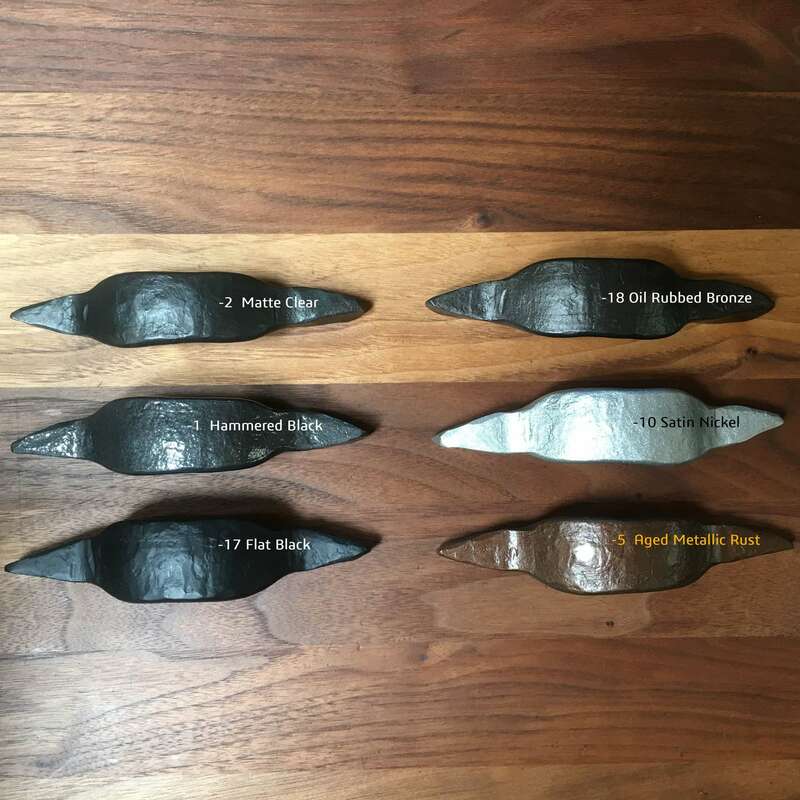 View other railroad spike fixtures.